The Tiny House Blog has featured the dynamo Misty Tosh and her travel trailer before, but now the intrepid TV producer and traveler has a new home and project — a three-story houseboat in Marina del Rey named Flo. While the boat is not necessarily tiny (for tiny, check out her other boat, Enola) Misty has remodeled the derelict houseboat into a work of art. 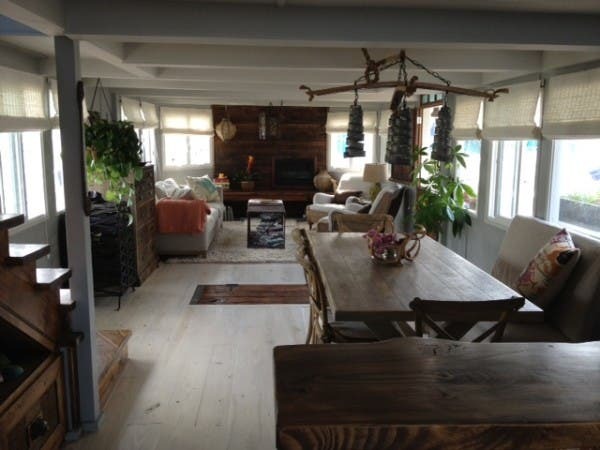 All the renovations for her houseboat had to be done on the water and she documented the process and houseboat living on her blog, Big Sweet Tooth. The renovation was recently featured in the L.A. Times. When Misty bought the boat, it was a dark mass of junk and tiny rooms connected by ladders. Misty worked with Refinding Design, a local design firm that scours junk yards, flea markets and roadsides for building materials. Salvaged items like a hatch door from a WWII supply ship covers a wine rack under the floor with a peekaboo view of the water, the metal ring of a wine barrel was turned into a chandelier, and the breakfast counter is a slab of wood with a base of plumbing pipes. The bottom floor is a living and dining area, the second floor is a master bedroom, bathroom and guest area. Nautical rope is a reccurring theme throughout the boat and also acts as a banister railing for the staircase up to the bedroom. The top deck has a small office, a “garden” with artificial turf and a bar. Wow. 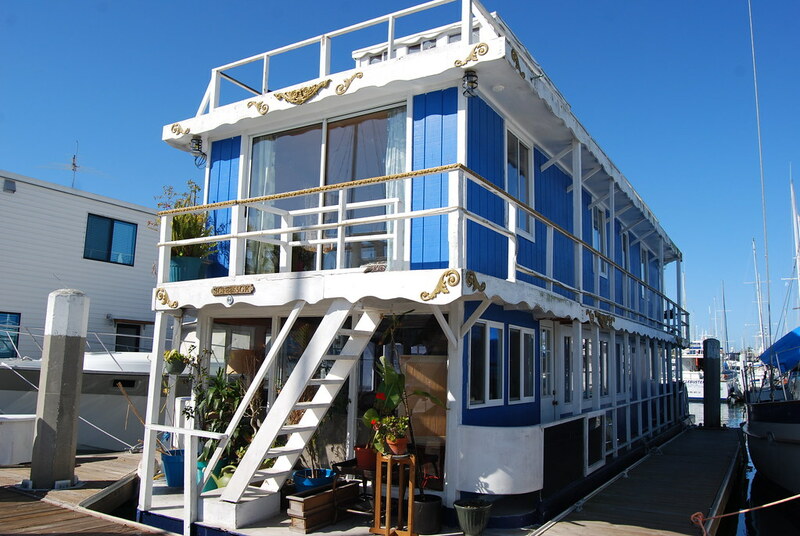 This isn’t a houseboat; it’s a palace! I love when people are creative and genuinely love a space. Looking at the pics, you can tell they loved and enjoy their surroundings. Very beautiful. Great job!! I’ve been the proud owner of both and each is truly living in paradise. A houseboat, however, has propulsion, a helm, etc. 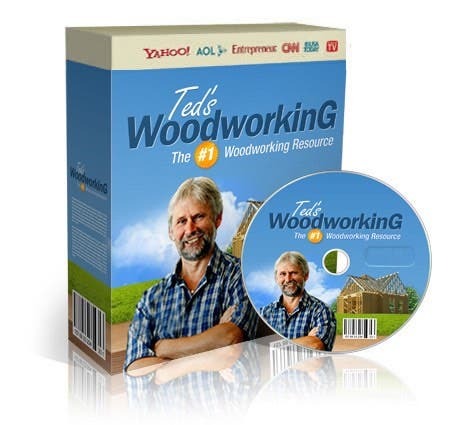 A floating home is a stick built house on top of a barge or similar floating structure. If you are interested in liveaboard lifestyles, see house boating magazine and similar publications. 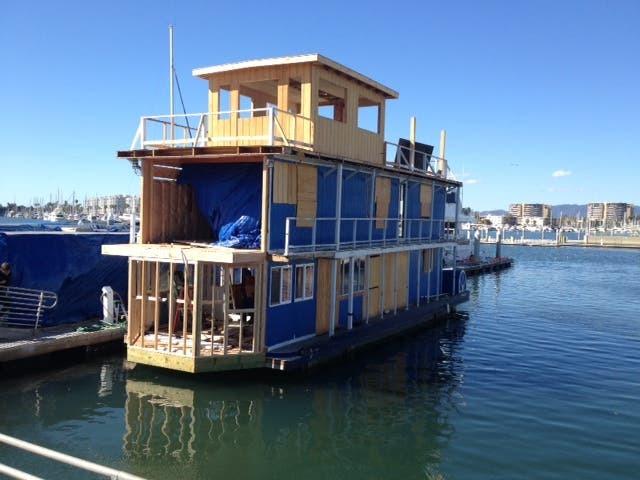 Is there a before picture of the derelict houseboat? Spectacular…I could easily live in that home. Well done! While this is very beautiful, I have to wonder if it is sea worthy? It looks like a version of the Vasa, the infamous Swedish war ship that was too top heavy and toppled over in the harbor. You have delighted and inspired me to do bigger and better projects….thank you and job SO well done! Wow very nice. 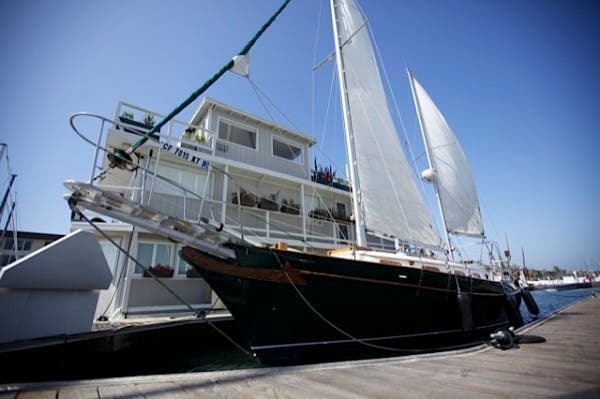 As to it’s sea worthiness, like Ellen stated above this is a floating home on a barge, it can be towed but isn’t a boat. I live in a floating home, albeit only 450sq ft. This story is about a floating McMansion and if you like homes like this you can come to my marina in Oregon and I can show you to tons of homes like this. Living on the water is intriguing and beautiful, full of adventure and nature, but just because it is on the water it isn’t always a tiny lifestyle. 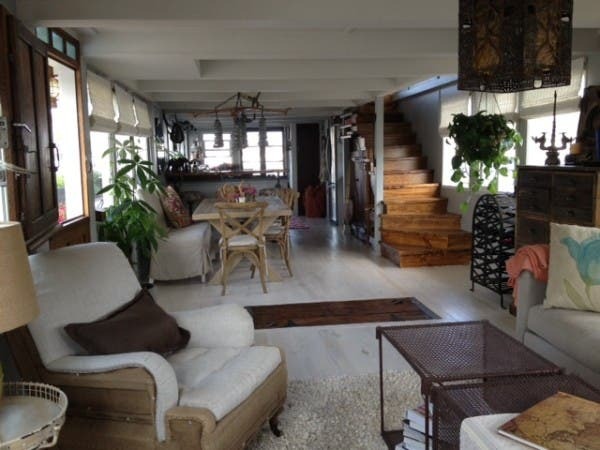 When I was searching for my home on the water I was downsizing from a 2500sq ft home. Trying to find a home under 600 ft was very difficult, but they do exist and I think they are worthy of stories about small and tiny living. This story, not so much. Where in Oregon is your Marina? I’d prefer the sailboat docked next to it. I am conflicted about houseboats in marinas. I like houseboats and shanty boats, but there is also a huge problem with marina space for sail and power boats. Working boats are also being crowded out of waterfronts as the wealthy want the space – bother the shore frontage and the water (shoreline) for themselves. I don’t know if there is a solution. Meanwhile slip fees are getting higher than most people’s mortgages in many areas. That is the site for the sailboat, also hers. 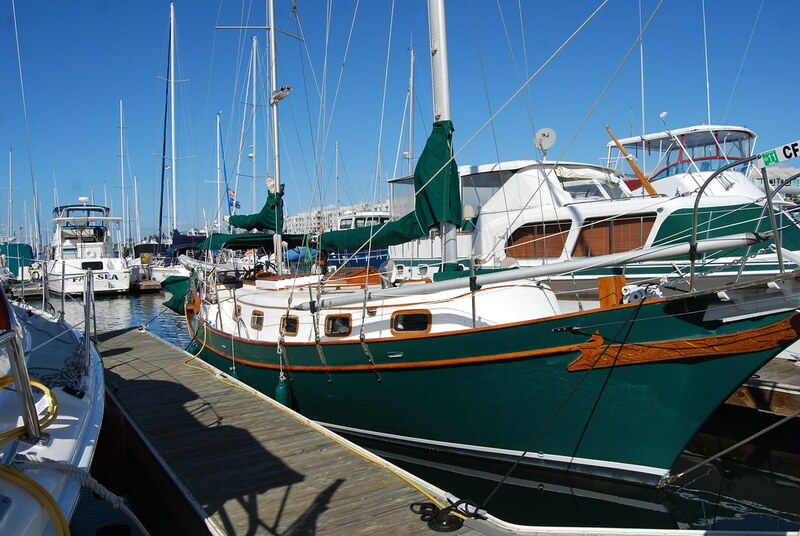 It is a 36 foot custom Chung Hwa in a yacht harbor described as a ‘little bitty boat’ for a simple little life. The sailboat moored next door also belongs to Misty Tosh and/or her production company. If everyone is on one side of the floating house will it lean over? It’s so top heavy I’d be afraid it’d topple over in a storm, even in this tight dock. Its beautiful for sure, but did you have a ship builder along with your building crew to make sure this is stable? I would imagine there might be some ballast inovlved. You can add weight to the bottom to counteract the upper area. That still leaves you open to wind bouncing you around a bit but not necessarily to being tipped over. No question of a beautiful place but I don’t see this oppulent lifestyle being at the heart of the ‘Tiny House movement’. Much of it is oriented towards realizing that we can do well with less, thereby helping the environment, our society, our world. We all have different ideas as to what this means. This house and boat are projects for someone wealthy beyond the combined resources of any 10 people that have appeared on this blog with ‘real’ tiny houses and making an effort to reduce our impact on this world. Beautiful sailboat and house? Absolutely. Part of the movement this blog illuminates? No. 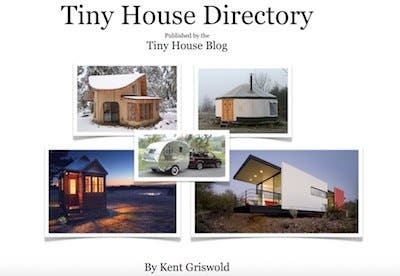 Just to clarify, I’m referring to the Tiny House Blog philosophy, not Misty Tosh’s. Everything is the the most “fab” and is absolutely “amazing beyond belief ” and the listing of hotels accepting dogs becomes too much for me. I did get a giggle on her site for 4th World Love, a foundation she has that needs volunteers around the world in far flung spots. You need to pay for the honor to volunteer. Charity Navigator cannot produce any reports for the funds or expenses. It strikes me as ironic that all the volunteer spots seem to be near where filming took place for various projects sold to networks. karma tells me to pass on this one. Hey I took photo’s of your floating home and your sailboat (I think) back in March of 2011. My Uncle purchased a boat in your marina that we took up to Oregon. I took quite a few photos of the floating houses if others would like to look. It’s very pretty, but looks a little “top heavy”. What happens when the wind blows really hard, or waves get huge? I bet that top floor feels a little weird when the weather kicks up! 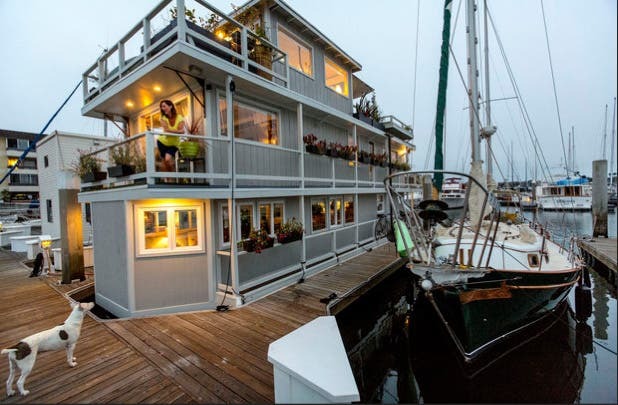 P. S. How is this 3 story house boat really a “tiny house”? 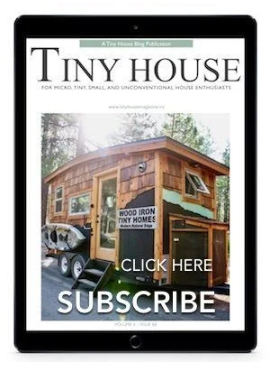 The tiny house movement (I thought) was more about sustainable living than luxury “toys” for wealthy people. Sorry… I don’t mean to sound harsh. 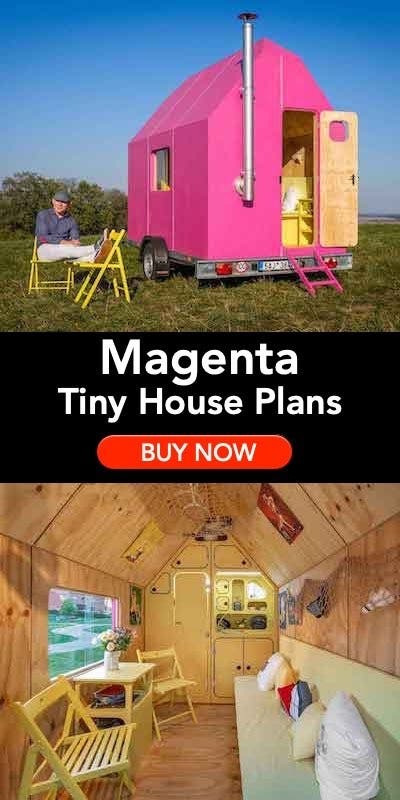 It just seems to me that this kind of thing doesn’t really reflect what tiny living is all about. Wow – really interesting responses! 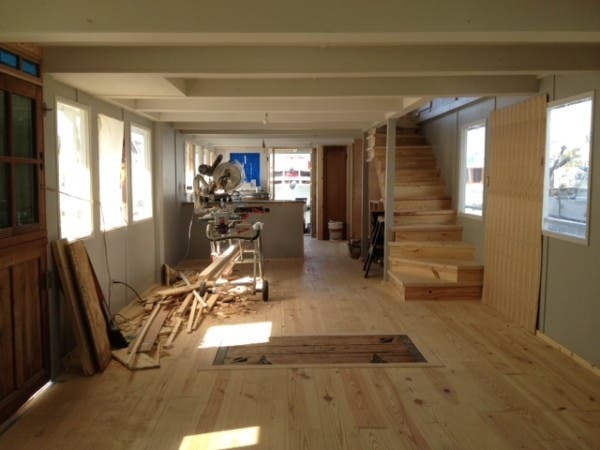 Just to clear a few things up – there were definitely structural engineers involved in this rehab, as well as a giant truckload of top notch flotation delivered so that Flo could be as stable as any boat on the water could be. This boat actually does have an engine on it and was originally built as a floating restaurant down in San Diego. It still has the 50HP engine (which is still operable), so it’s not really a classed as a floating home, but is indeed considered a houseboat. Running lights and all. RE: being top heavy and leaning to one side. It’s not really that top heavy – and when the wind blows wildly, there is some movement, but no more than any of my fellow neighbors boats or my sailboat (parked next to the houseboat). Man, I can move a bag of groceries around and the boat will lean in favor – but that happens on any boat for the most part. We just try to keep things even as we can, but I’m constantly moving things around. And we have tie downs from the 3rd floor going to the cleats on the dock, so that keeps her pretty rock steady. There is literally nowhere for her to move. Of course I had a budget! Not sure what kind of dough everyone thinks I spent (or make for that matter), but since we were on a tighter than most budget, we did lots of things ourselves. My contractor and his team did all the heavy duty rehabbing, wood work and welding genius but for the interior design, we + my insanely talented contractor just sourced things ourselves, trying to keep things a/affordable and b/as reclaimed as we could (vintage fixtures and front door, scrap metal everywhere *railings, shower, drains, support rig for floatation*, old shipping pallets for floors). I found tile cheap on craigslist, etsy was my best friend, ebay became a close 2nd bestie, with the Long Beach flea market becoming 3rd runner up. There was no product placement, there were no freebies, none of that. Just hard, never-ending research and passion for the project from all parties. The pickled floors – that’s just porch paint that’s been sealed. 4th World Love (www.fourthworldlove.org) is an awesome venture that me and a pal started years ago. You do pay a tiny fee as far as usual volunteer programs go, but 100% of it goes to the community. For $125 a week, you get transport, a full time local ride/guide, housing, 3 meals + snacks a day and the best experience you will ever have giving back. So many of our volunteers stay for months and months and we just let them work out deals with our magical Field Coordinator, Royal. It’s a full immersion into a beautiful village and the progress we’ve seen happen with everyone now speaking English in our free school for locals, to building water tanks for the most impoverished sections of Sembalun, to crafting makeshift rubbage containers that line the road – well, I couldn’t be more proud of what 2 simple chicks pulled off and continue to support. Big Sweet Tooth is just a easy breezy lifestyle blog about good finds out there – be it an amazing meal, a cool little hotel (they gotta take dogs and unique ones that do are rare), a neat village or just simply trying to find the good in life. I’ve made a effort not to post gripes, hateful things, bad reviews and such on the Tooth – just cause there is so much of that out there already, who want’s to waste their time reading my POV on the insanity? I’d rather share something that offers a little escapism if I can. This houseboat is in a 16 x 50 foot slip. Though the boat feels big, it’s pretty dang compact and tidy. We gave up lots of things since we went for the open feel and very little closet space. We have no heat or air con. We run off low-amp shore power and propane (for the stovetop). 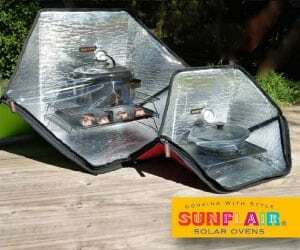 All the appliances are super energy efficient. We grow our own herbs year round and veggies in the summer. We recycle everything. We try to do the best we can every day in this crazy, crazy world and smile while were doing it. 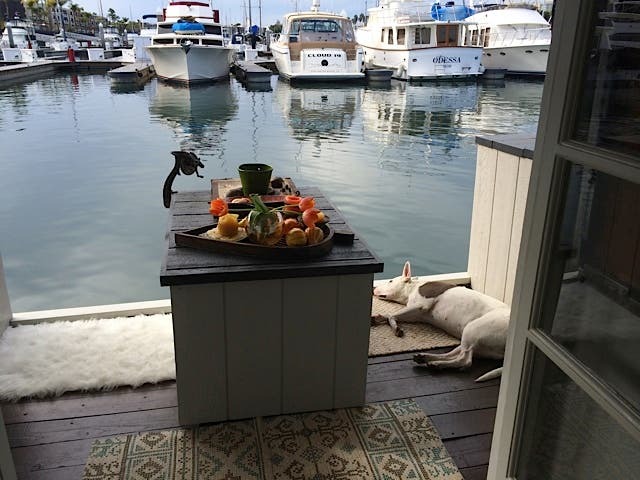 If anyone has any questions at all about living on a boat, or rehabbing a vessel, or living in a trailer, or volunteering with 4th World Love, or moving to a small village in Mexico to begin anew, or how to make killer chile oil, or what herbs wont grow near salt water, or anything of that nature…please hit me up! 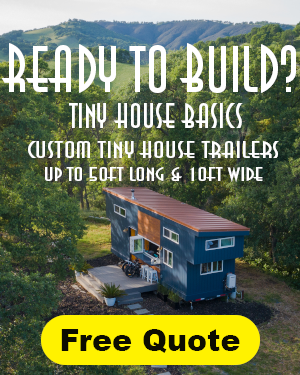 (PS – I’ve been a fan of this blog for many moons – ever since I had my little 14′ tin can trailer down in a cheapo trailer park in San Miguel de Allende). Keep up the great work!! I absolutely adore this houseboat; it’s by far my favorite thing about the Marina. When I’m on my walk I always pause to admire the beauty and creativity of it (I try not to stare intrusively but I really do love to gaze at this little floating fairytale house) and I think about how lovely it must be to sit and read a book inside it, or out on one of the little decks, which are so beautiful. I wish the Marina were filled with unique and creative structures like this one, as it makes my imagination soar and gives me boundless joy every day. It is a floating work of art.